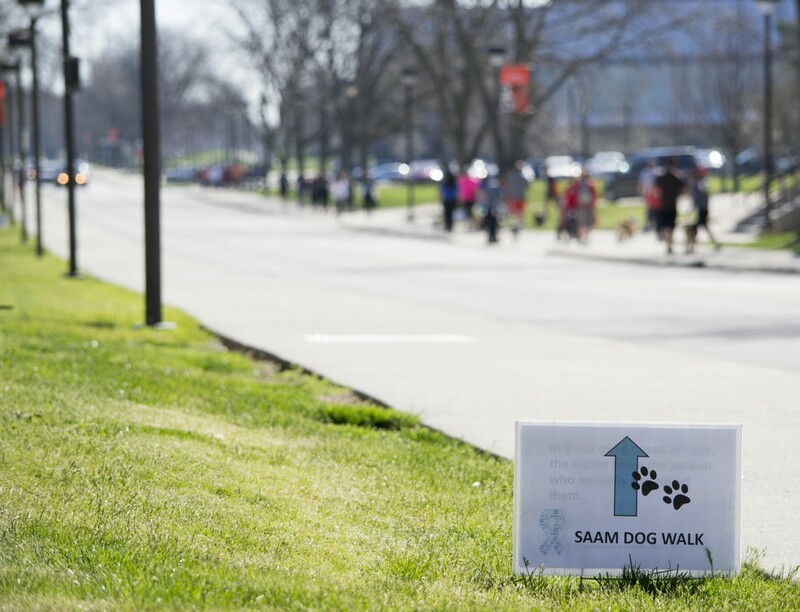 Show your support for Sexual Assault Awareness Month and get moving in the SAAM 5K and Dog Walk. 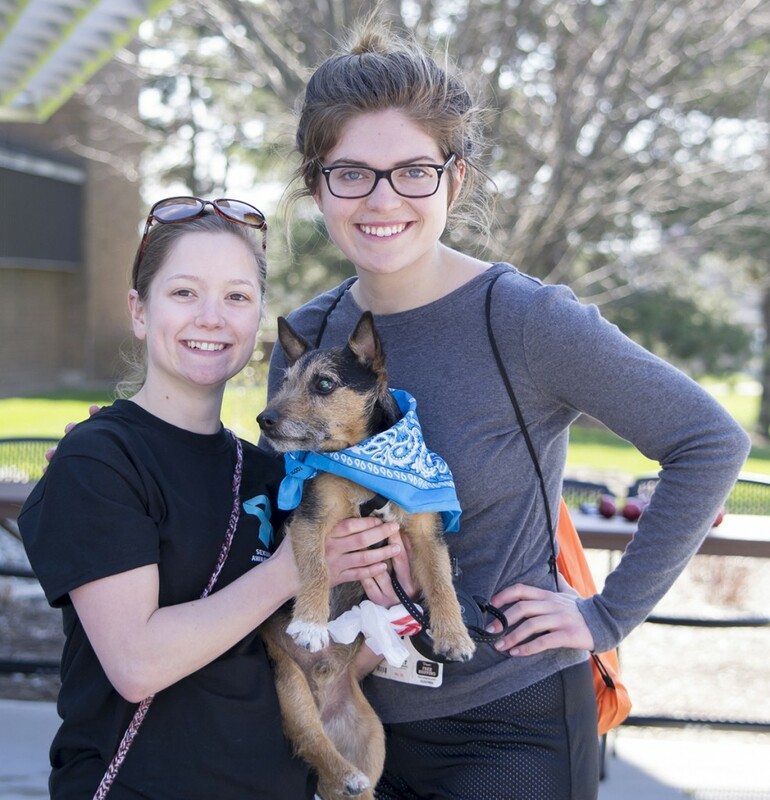 The event proceeds benefit The Cocoon, which provides safety, healing, and justice for survivors of Domestic and Sexual Violence. 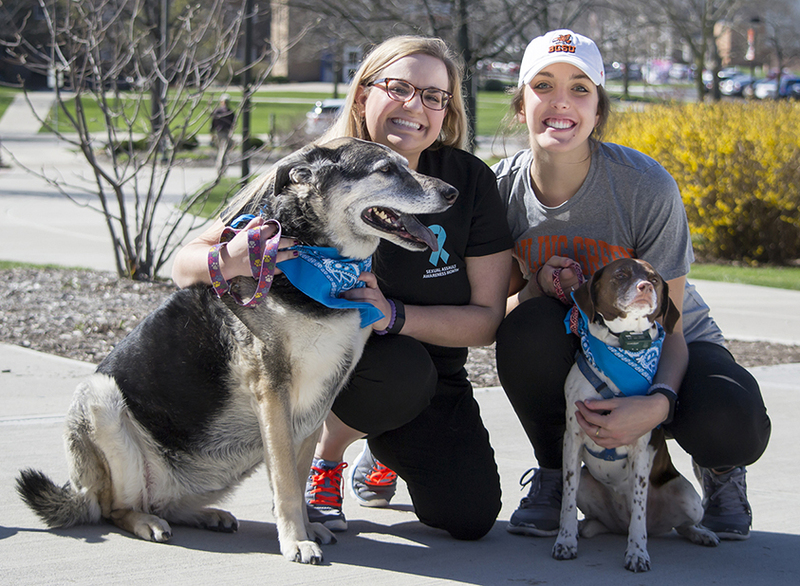 T-shirts for people, bandanas for dogs. Must register by March 1 to receive a t-shirt. Top winners in age and gender receive a prize. 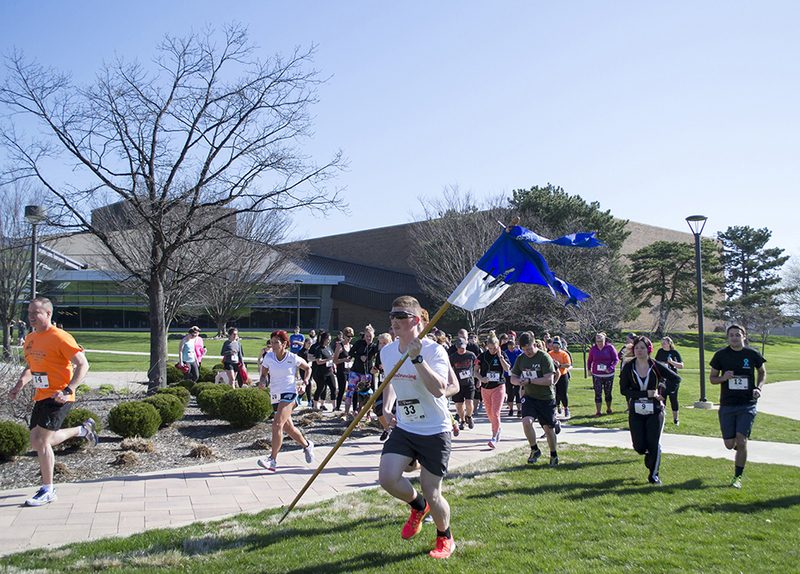 Register online, or in person at the Perry Field House or the Student Recreation Center. Additional $5 fee for race day entries. 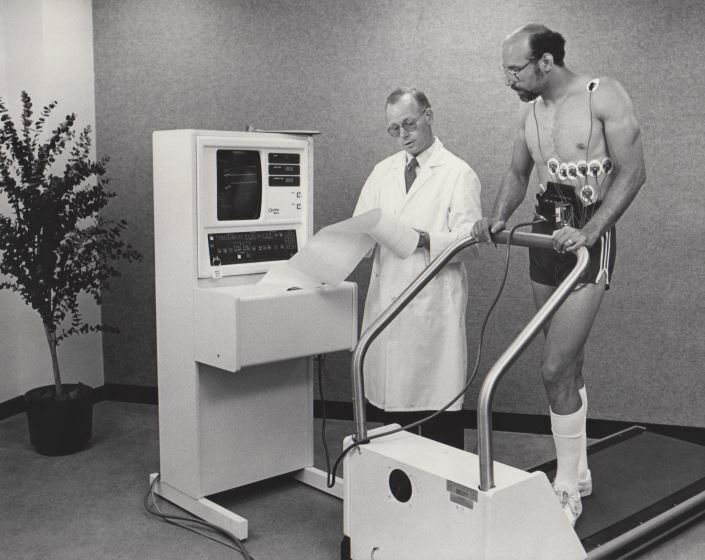 The Fitwell Program was started in 1985 to offer a scientifically designed, personalized fitness program. 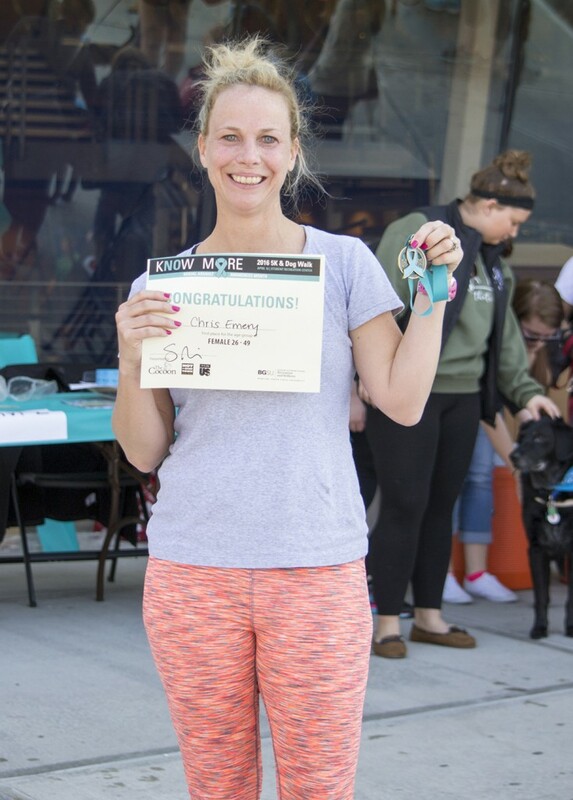 The objective of the Fitwell program was to encourage people to assess their health status, make an effort to improve it, and learn how to maintain good lifestyle habits. 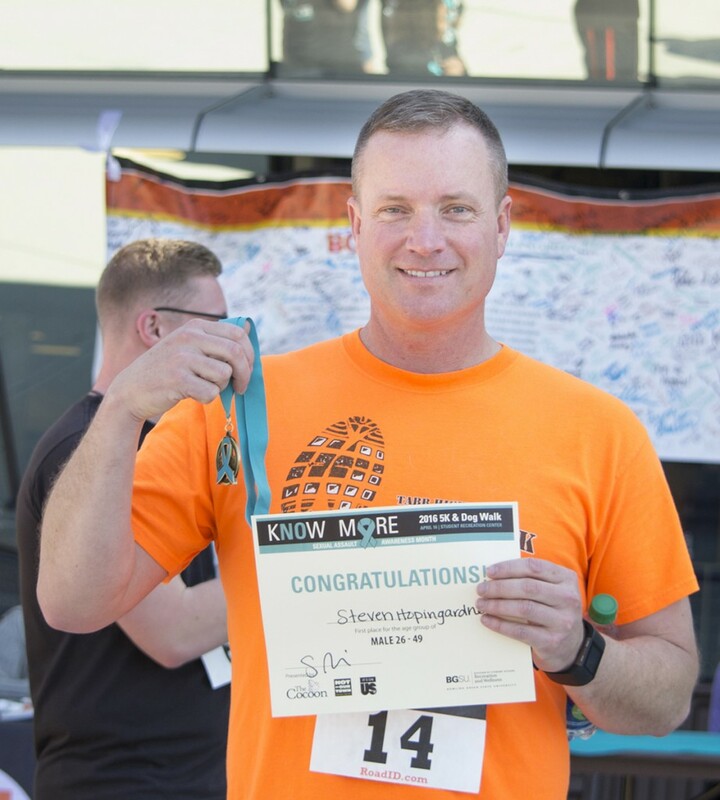 The program was directed by Dr. Richard Bowers, professor of Health, Physical Education and Recreation and a certified exercise program director through the American College of Sports Medicine. 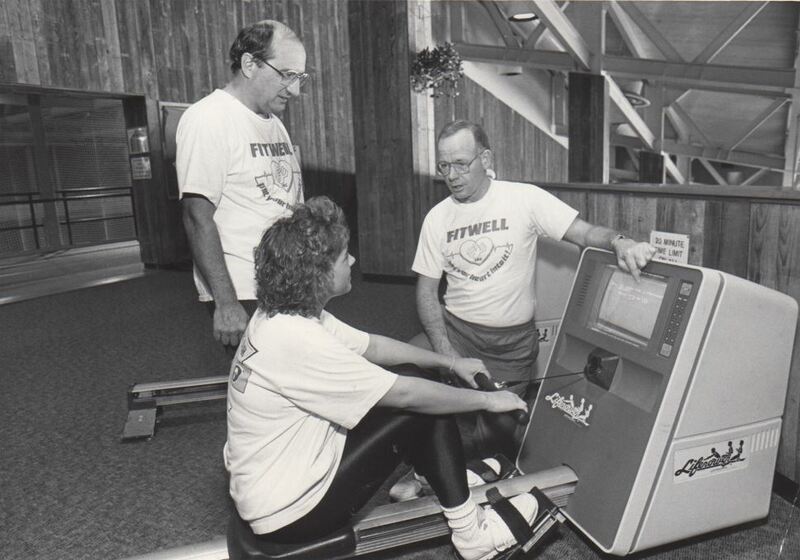 The Fitwell program was an optional service available to all members of the Student Recreation Center, and it included the use of state of the art equipment located in the L.I.F.E. (Leisure Information and Fitness Evaluation) Room in the Student Recreation Center. Services offered include a health and lifestyle audit, a treadmill test, a body composition analysis, a blood pressure assessment, and a cholesterol test and analysis. 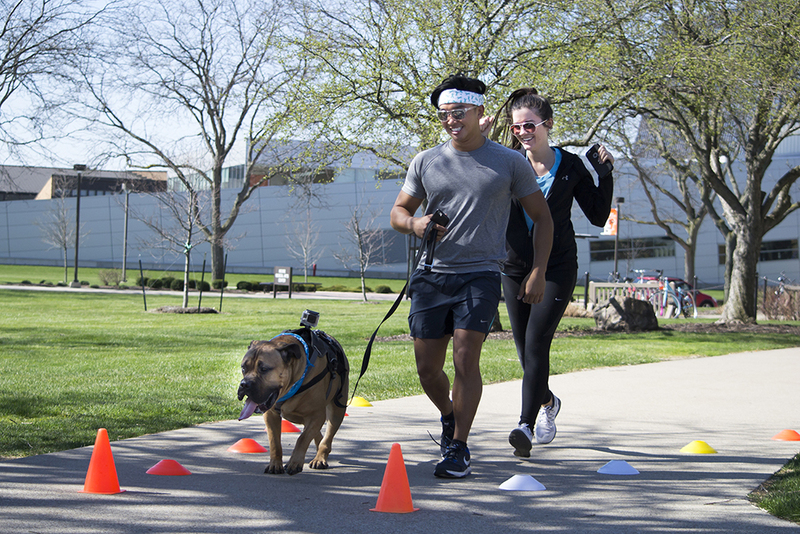 Based on the results of the cholesterol test, the Fitwell staff could direct clients to nutritional counseling through the Well or another campus agency. 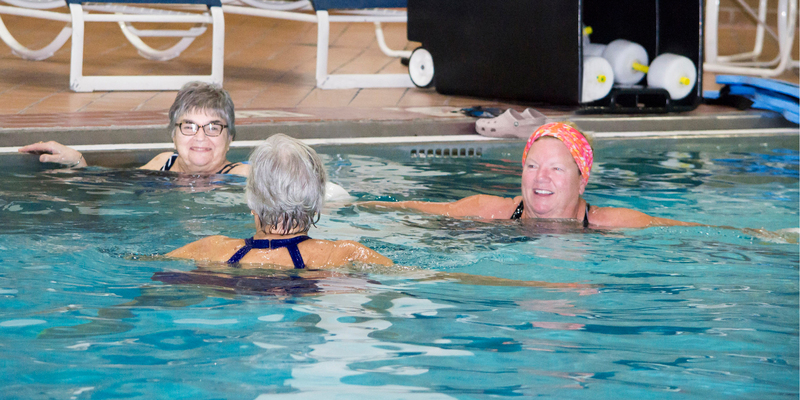 Once clients completed the tests, they had the option to join a 12-week supervised exercise program or a self-directed exercise program. 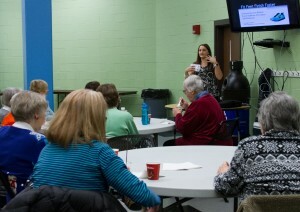 If enrolled in the 12-week program, clients also received fitness tips and an alternate aerobic exercise modes. After the 12 weeks, the client received a reevaluation of the past tests. The program equipment was purchased for an estimated $20,000 with additional equipment being added as the program expanded. Funding was provided through donations by private citizens and corporations. 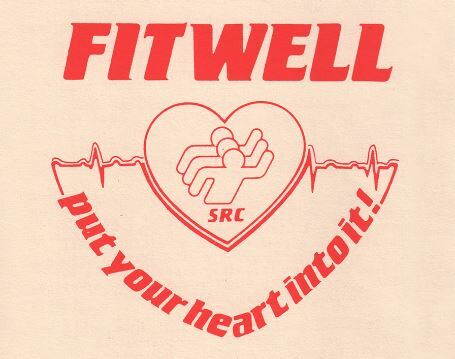 By 1994 Fitwell was servicing about 1,500 to 1,800 clients a year. Visit our website for more information about the History of Recreation and Wellness.